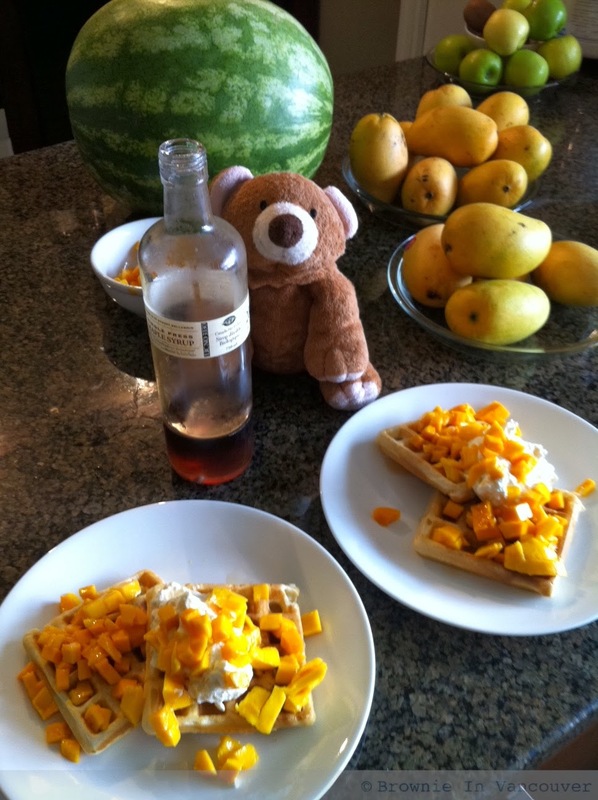 We were craving waffles one day and D did a search on belgian waffles and came up with this recipe found here. We've chucked the other recipe out - oh wait D doesn't have a recipe, he does it by feel...little bit of self raising flour, 1 egg, little bit of milk till he reaches the right consistency. 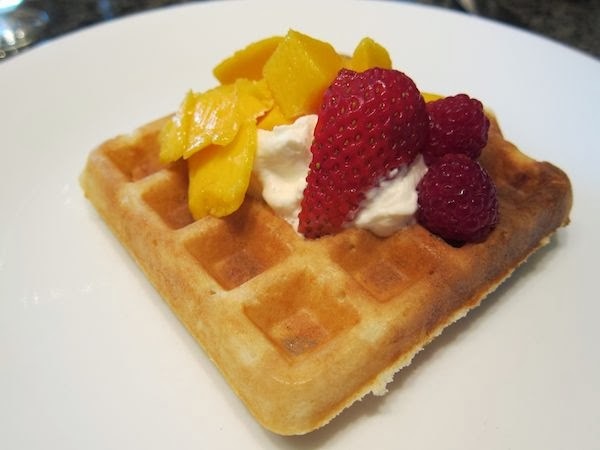 Anyways, this is THE waffle recipe, crisp on the outside, yet buttery soft on the inside. Re-creatable every time. Freezes well and bakes up pretty well too. Dissolve yeast in 1/2 cup warm milk. Let stand until creamy, about 10 min. In a large bowl, whisk together egg yolks, 1/4 cup warm milk and melted butter. Stir in the yeast mixture, sugar, salt and vanilla. Stir in the remaining 2 1/2 cups milk alternating with the flour. Beat the egg whites until they form soft peaks, fold into the batter. Cover the bowl tightly with plastic wrap and let rise in a warm place until doubled in volume, about an hour. Preheat waffle iron. Brush with oil and spoon about 1/2 cup (or as recommended by manufacturer) onto the centre of the iron. Close the lid and bake until it stops steaming and the waffle is golden brown.